Officially A Yuppie: EXCLUSIVE! SILVA INTV! Brazil was the center of the globe this summer thanks to the World Cup. While news organizations from around our planet showed the beauty of Brazil's land and culture, it also showed the unrest of it's people who protested the politics of the Cup and FIFA. As Brazil gears for an election season and Rio preps to host the 2016 Olympics, before that happens, another key focus on Brazil comes from a musician -- Silva. 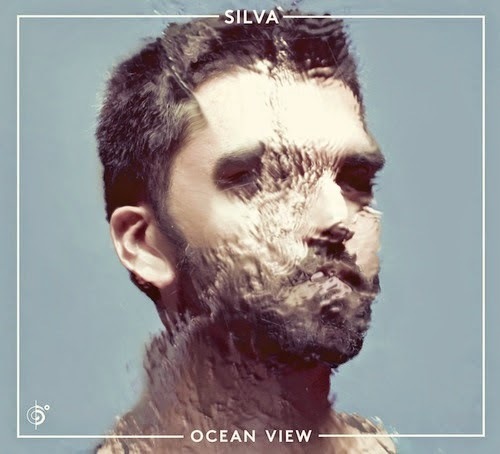 Silva, who will release his new album, Ocean View, this month, combines bossa nova, samba, ambient, shoegaze, dream pop, and electronica into his music. Inspired by the beaches that surround him and the life he lives with his feet in the sand, Silva has created the perfect summer time record that makes anxious to see the season go. I recently spoke to Silva about his new album, country, and influences. Take a look at that interview below. Your latest record, “Ocean View” sounds more to a listener not from Brazil as a voyage to your country. Was that your intention? Yes, a little bit. I just wanted the listeners to feel close to the sea when they listen to this album. But it could be Lisbon or even Florida. You combine bossa nova, dream pop, ambient, even samba in your sound. Who are some of your influences? I listen to a lot of stuff and I try to mix it in my productions. I really love house, ambient, bossa nova and R&B. While I was writing the songs of “Ocean View” I was listening to João Donato (a Brazilian genius) and Marcos Valle. They are such an inspiration for me. The music a make is quite easy-listening and I could say it is full of good vibes. The record, as you once said is about “seascapes.” Is the ocean and sea an important part of your life? It definitely is! I tried to live in São Paulo once but I could not, because is too far away from the sea. I grew up an island, Vitória, and I am used to have the sea near me through my whole life. It is quite important for me. Hailing from Vitoria, how does your city influence your work? Vitoria is a capital but it is very different from an usual Brazilian capital. The city is very calm, if compared to Rio or São Paulo and life here is not stressing at all. The music scene is quite small and we do not have a strong genre like samba or other kinds of Brazilian music, so it gives people some space to try other stuff. We have a few interesting electronic and reggae producers. The island’s life style influenced my work for sure. My mother is a music teacher in our local university, so I grew up listening to a lot of classical music and some tradicional Brazilian stuff as well. I got in touch with pop music when I was a teenager and then I gave up been a classical musician. You are someone who is very popular in your home country as well as Portugal. When playing a country like the U.S. or elsewhere in Europe, what is the reaction you get from the audiences? In Europe the audiences are very polite and very supportive. I have not played in the U.S. yet but I am looking forward to it! What are audiences like around the world? Are they the same or each country has their own unique characteristics in the crowd? Every place has a totally different reaction. In Brazil, the audience is usually noisier than other places and in Portugal people are much quieter but very supportive at the same time. It is such an interesting perception. This past summer Brazil was the center of the world thanks to the World Cup, what was it like to see your country get so much attention? It was weird, actually. We have a lot of social difference problems in Brazil and we were definitely not prepared for the World Cup. The Brazilian government should be more careful with our country but they are all about showing off. Brazil has exported many Silva’s to the world, Thiago Silva, Marina Silva, are the two that always make headlines and capture attention. Do you think you will be next? It would sound too pretentious if I say yes, but if it happens someday it will be quite fun! What other Brazilian musicians should Americans need to know about? I have a talented friend in Rio and her name is Mahmundi. We also have Céu, Telebossa, We Are Pirates and Leo Justi.